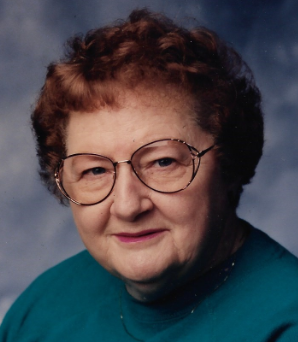 Katherine K. Sanford, a long-time Benton native, passed away late Monday, April 15, 2019 at Franklin Hospital. Mrs. Sanford was born on January 1, 1931 in San Antonio, Texas to Robert D. and Elizabeth Ross Kemp. She was a 1949 graduate of Woodrow Wilson High School in Beckley, W.Va. and received Bachelor’s degrees from West Virginia University and SIU Carbondale. Mrs. Sanford taught GED classes for over 15 years in addition to being a long time member of Benton First United Methodist Church Benton as well as serving on the Benton Public Library Board for several years. Katherine was a world traveler where her travels took her to China, Russia and nearly every country in Europe as well as sailing through the Panama Canal. She and her sister also traveled to both the Arctic Circle and the Antarctic, experiencing the world pole to pole as she liked to describe it. Mrs. Sanford is survived by daughter Martha S. (Bill) McCreery of Benton, grandchildren Amber E. Winters, Jordan J. (Elizabeth) McCreery, Michael L. McCreery and great-grandchildren Syler and Jaylen McCreery. She was preceded in death by husband Charles E. Sanford, sister Dr. Virginia M. Kemp, daughter Deborah Sue Winters and sister-in-law Lois Sanford McMillen. As per her wishes, Mrs. Sanford donated her body to the Southern Illinois University Carbondale School of Medicine. There will be a memorial visitation on Monday, April 22, 2019 from 4:30 to 7:00 p.m. at Morton-Johnston Funeral Home in Benton, IL. 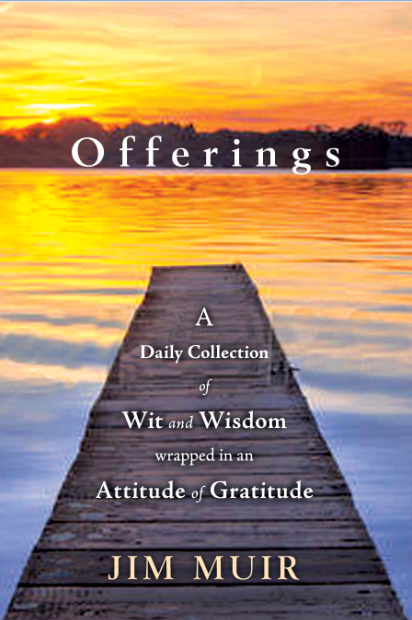 In lieu of flowers or other gifts, memorial gifts may be made to Benton First United Methodist Church, the Benton Public Library or Franklin County Animal Control. 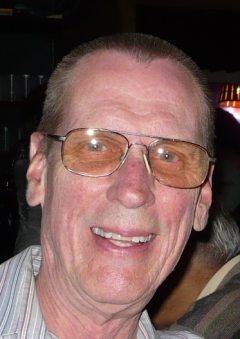 Kenneth Bielecki, 73, of Valier, IL formerly of Chicago, IL passed away on April 16, 2019. He was born on August 29, 1945 in Chicago, IL to Walter and Dorothy (Kendzierski) Bielecki. He married Catherine (Fries) Bielecki on April 16, 1983 and she survives of Valier. He is also survived by his children Lisa (Ryan Stapleton) Bielecki of Crystal Lake, IL and Tracy (Jacob) Bielecki Smith of Naperville, IL; one sister Karen Bielecki of Chicago, IL. He was preceded in death by his parents and his little buddy “Bear”. Military Rites will be performed by the Christopher American Legion Honor Guard at 7:00 PM on Friday April 19, 2019 at the Gilbert Funeral Home in Christopher. Visitation will be on Friday from 5:00 PM until the time of the service at 7:00 PM. In lieu of flowers donations can be made to the Southern Illinois Honor Flight or to the Christopher American Legion. Envelopes will be available at the funeral home. Margaret Vettorello, 96, of Christopher, passed away on Monday April 15, 2019 at her home. She was born on July 25, 1922 in Christopher to Arthur and Bessie (Milburn) Giles. She married Albert “Red” Vettorello and he preceded her in death on April 21, 1999. She was a member of the First Christian Church in Christopher. She will be greatly missed by her family, friends, and church community. Funeral services will be on Friday April 19, 2019 at 1:00 PM at the Gilbert Funeral Home in Christopher with Rev. Daniel Ison officiating. Visitation will be on Friday from 11:00 Am until the time of the service at 1:00 PM. Burial will be at Masonic & IOOF Cemetery in Benton, IL. In lieu of flowers donations can be made to Hospice of Southern Illinois or to the First Christian Church of Christopher and will be accepted at the funeral home. 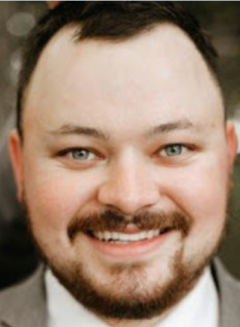 Scott Allen Gaither, 25, of Thompsonville, passed away on Saturday, April 13, 2019, as the result of an automobile accident. He was born on June 9, 1993, to Wayne and Kim (Craun) Gaither in Fostoria, OH. He was a 2011 Graduate of Thompsonville High School. Scott worked as an Assembler Technician 2 for Fabic Mining and was a Volunteer Fire Fighter for Thompsonville Fire Department. On September 15, 2018, he married his best friend and soul mate Kelsey Nolan in Thompsonville, IL. Even though Scott and Kelsey’s marriage was cut so short they had spent 10 years together. In that short period of time they had endured so much from outdoor adventures, attending costume parties, and being admired for their photogenic love for each other. Scott had always told his family he knew from day one that she was the love of his life. Scott was a loving husband, son, brother and uncle. He enjoyed watching all sports, racing four wheelers, playing golf with his father, brothers and friends, playing football and baseball with his nephews, going out Jeeping and Kayaking with his best friends, going to watch and coach his nephews play baseball, spending quality time with his nieces and nephews and hanging out with his friends. Scott was known for his caring personality and a smile that would light up a room. Scott is survived by his loving spouse, Kelsey Gaither; his parents, Wayne and Kim Gaither; Scott and Kelsey’s Fur Babies, Duke, Mini, Mila and J.J; his two big brothers, Kenny Gaither and wife Tiffany, of Thompsonville, IL and Dave Gaither and wife Brittany of Thompsonville, IL; grandmother, Marilyn Craun of Fostoria, OH; nieces and nephews, Hunter Gaither, Bradyn Gaither, Riley Gaither, Gentry Gaither, Rynlee Gaither and Kennley Gaither; many aunts, uncles, cousins and friends. 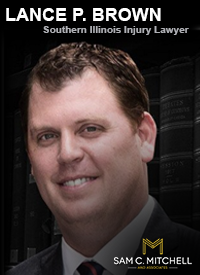 He was preceded in death by his grandparents, Kenneth and Rose Gaither and John Craun, Sr.; his dear aunt and uncle, Sherry Isaacs and Wayne Bowers. Funeral arrangements have been entrusted to Pate Funeral Home, 301 S. Main St., Benton, IL. Visitation will be held Friday, April 19, 2019, from 4:00 p.m. to 8:00 p.m., at Pate Funeral Home, Benton, IL. Funeral services will be held at 10:30 a.m., on Saturday, April 20, 2019, at Pate Funeral Home, Benton, IL, with Brother John Robinson, officiating. Burial will take place in the Pleasant Valley Cemetery, Thompsonville, IL. Memorials contributions may be made to the family and accepted at the funeral home. Online condolences can be given at www.patefh.com. 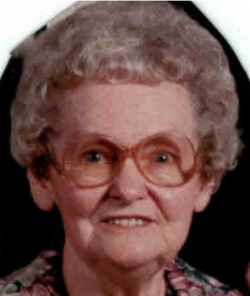 Freda Mae webb, 89, of Ewing passed away Thursday afternoon, April 11, 2019 in Benton. She was born in Spring Garden, IL on May 11, 1929, the daughter of Homer & Alma (Johnson) McCann. She married Charles Harold Webb on Sept. 26, 1949, and he preceded her in death on Oct. 16, 1975. Mrs. Webb was a loving wife, mother, grandmother, great grandmother & sister. She worked for many years at Burton’s Café in Whittington. Mrs. Webb was preceded in death by her parents, husband, by a brother, Junior Ray McCann & his wife Peggy and by a sister, Wastina Campbell and her husband Byford. Funeral services will be 1 PM Monday, April 15, 2019 at Johnston Funeral Home in Ina, with Rev. Ed Endsley officiating. Burial will be in Williams Chapel Cemetery in Ewing. Visitation will be after 11 AM Monday at the funeral home. 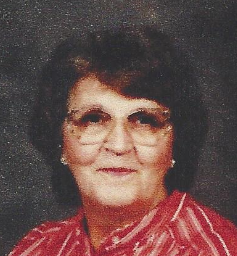 Joan Rush, 80, of Benton, passed away at 7:10 p.m., on Wednesday, April 10, 2019, at SSM Health Good Samaritan Hospital, Mt. Vernon, IL. She was born on July 15, 1938, to Sanford and Opal (Rea) Cato in Grassy, MO. Joan retired as a CNA for Franklin Skilled Care Nursing Unit after over 25 years of service. Joan was a loving mother, grandmother, great-grandmother and friend to many. She loved playing Bingo, working word search puzzles and playing on her tablet. Her entire family knew she loved the color green! She enjoyed helping at the Thompsonville First Baptist Church Clothing Center. Joan is survived by her son, Dennis Rush of Benton, IL; a son-in-law, Charles Overton of Benton, IL; a sister-in-law, Connie Cato of Tampico, IL; Seven Grandsons, J.R. (Maranda) Rush of Benton, IL, George (Tiffany) Rush of Benton, IL, Joey (Charity) Rush of Benton, IL, Brian (Brittany) Rush of Christopher, IL, Brandon (Amanda) Overton of Benton, IL, and Matthew Rush; several step-grandchildren; many great-grandchildren; several nieces, nephews, great-nieces and nephews. She was preceded in death by her parents; a son, Elvie Rush; a daughter, Diana Overton; two brothers, Harrel Cato and Ronald Cato; a sister, Nettie Kinard; a grandson, Marcus Rush; a daughter-in-law, Sue Rush and brother-in-law, Jack Kinard. Visitation will be held on Saturday, April 13, 2019, from 12:30 p.m. – 2:30 p.m. at Pate Funeral Home. Funeral services will be held on Saturday, April 13, 2019, at 2:30 p.m., at the Pate Funeral Home, with Brother John Robinson, officiating. Burial will take place in the Masonic and Odd Fellows Cemetery following services. 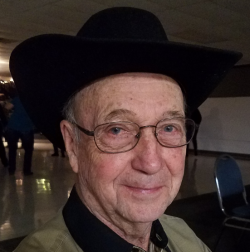 Stanley Eubanks, 84, of Sesser passed away on April 11, 2019. He was born on January 31, 1935 in Sesser to Clyde and Lola (Jones) Eubanks. He married Sarah Leora (Veach) Eubanks and she preceded him in death on August 31, 1997. He then married Violet Ann (Dunn) Eubanks on December 26, 2001 and she survives of Sesser. He is also survived by his children Glena (Ronnie) McCrary of Carterville, Ed Eubanks of Sesser, Glenn Ray (Deanna) Eubanks of Sesser, Barbara (Rick) Linton of Benton; step-daughter Rhonda Sims of Rodgers, AR. ; grandchildren Chad McCrary, Cortney McCrary, Chase McCrary, Tracy (John) Woodlawn, Bradley Eubanks, Gage Eubanks, Laura (Josh) Dawson, Teresa Eubanks, Shaun Linton, Ronald (Jennifer) Sims, and Charlotte Kirkpatrick; brothers Donald Ray (Loretta) Eubanks and Olen Ward (Vickie) Eubanks; sister Alcletha ‘Chick” Murray Furlow and many great grandchildren, and nieces and nephews. He was retired from Old Ben #21 and was a member of the UMWA. He loved horses and dancing. He was preceded in death by his parents, first wife, one son Gregory Alan Eubanks, brothers and sisters Loletta (Murray) Friend, Edward Lee Murray, Haskel “Hack” Murray, Juanita (Murray) Dame, Marcella (Eubanks) Dunbar, Ethyl Lou (Eubanks) Bumpus, Wanda (Eubanks) Teel, Chesta Glasco, James Eubanks. Funeral services will be on Monday April 15, 2019 at 1:00 PM at the Brayfield-Gilbert Funeral Home of Sesser with Brother Harl Ray Lewis and Brother Mark Miller officiating. Visitation will be on Monday from 11:00 AM until the time of the service at 1:00 PM at the funeral home. Burial will be at Mitchell Cemetery in Sesser. In lieu of flowers donations can be made to the Mitchell Cemetery and will be accepted at the funeral home. Tom “Puffy” Overton, 65, of Sesser, passed away on April 8, 2019. He was born on July 7, 1953 to Thomas Howard and Betty Jane (Cameron) Overton. He is survived by his children Robin (Geo) Ramsey of Christopher, Tiffany Emery of Sesser, Patrick Overton of Paragould, AR, Rhonda (Roger) Overton of Morganfield, KY, Tara Taylor of Christopher, Wayne (Kim) Overton of Paragould, AR; five brothers, Ernest Overton of Mt Vernon, Howard Overton of Coello, Curtis Overton of Coello, Jim Overton of Pfafftown, NC, Douglas Overton of Sesser; five sisters, Elizabeth Bassett of Sesser, Aileen Grieser of Prescott, AZ, Lydia Brust of Bowling Green, KY, Jean Keith of Zeigler, Mary Conley of Bowling Green, KY. 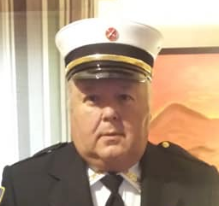 He retired from the Goode Township Road District and was a Captain for the Sesser Fire Protection District. He was preceded in death by his parents, one son Roger Alan Overton, and three brothers Alva Overton, Michael Dean Overton, and Carl “Mule” Overton. A Memorial Service will be held on Saturday April 13, 2019 at 1:00 PM at the Coello Municipal Building. 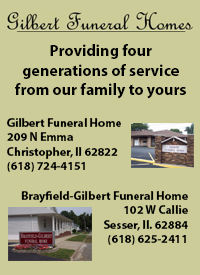 In lieu of flowers donations can be made to the Brayfield-Gilbert Funeral Home in Sesser, IL. 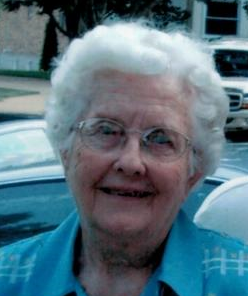 Marie Clapp, 98, of Christopher, passed away on April 5, 2019. Marie was born on March 3, 1921 in Rend City, IL the youngest of eight children born to Elza and Martha (Quillman) Sample. She married Byrl Clapp on March 15, 1941 and he preceded her in death. She is survived by her daughter Lene Berglund of Christopher; grandchildren Danny (Shari) Berglund of New Jersey and Lauri (Zach) Cowart of Chattanooga, TN; three great granddaughters Victoria, Harper and Ella; one step-great grandson Vincent and also survived by several nieces and nephews. She had worked at the Silver Dollar City Theme Park in Branson, MO, designing and making costumes. She was a member of the Bear Point Free Will Baptist Church in Sesser. She was preceded in death by her parents, husband, beloved son Leslie, two brothers and five sisters. Funeral services will be on Friday April 12, 2019 at 1:00 PM at the Brayfield-Gilbert Funeral Home in Sesser with Brother Larry Cook officiating. Visitation will be on Friday from 11:00 AM until the time of the service at 1:00 PM. Burial will be at Horse Prairie Cemetery in Sesser. In lieu of flowers donations can be made to the Shriner’s Hospital for Children and will be accepted at the funeral home. Diana E. Malkovich, age 67, of Benton, passed away at 9:33 p.m. Saturday, April 6, 2019 at the SSM Good Samaritan Hospital in Mt. Vernon. Private family funeral services will be held Wednesday at the Leffler Funeral Home of Benton, with Rev. Marty Shadowen officiating. 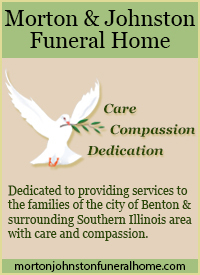 Private family burial services will be at the Masonic and Odd Fellows Cemetery of Benton. Diana was born on April 23, 1951 in Benton, the daughter of Fred Pierson and Pauline (Sanders) Pierson. She was married to Anthony E. Malkovich of Benton. 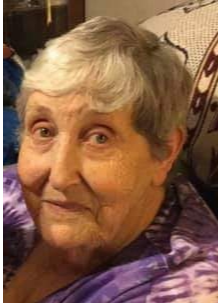 She was a homemaker, and previously worked in the dietary department at Heritage Woods of Benton and was also formerly a waitress and bartender for many years at the Benton V.F.W. Diana enjoyed cooking, canning, playing BINGO, loved being outdoors, and enjoyed spending time with her family, especially her grandchildren and great-grandchildren. Surviving is her loving husband Tony Malkovich of Benton; three children: Steve Spani, Michelle Spani and Joe Spani; several grandchildren and great-grandchildren; a brother Rick Pierson and wife Wilma of Benton; and a sister Gayla Bradshaw and husband Gary of Mt. Vernon, IL. She was preceded in death by her parents; and a daughter Diane Reginato. The family wishes memorial contributions to be made, in memory of Diana, to the Benton City Park or City of Benton, for beautification projects.